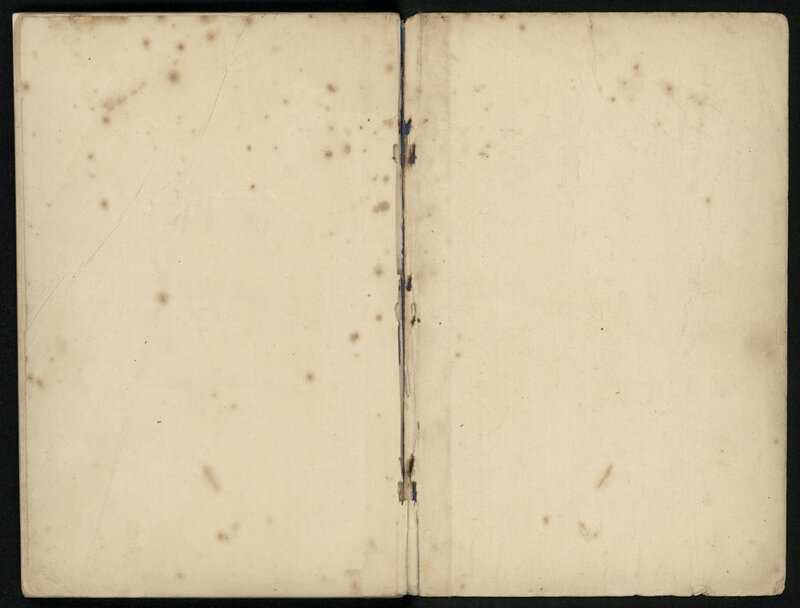 This extremely fragile volume has finally been digitised and is available in full here. 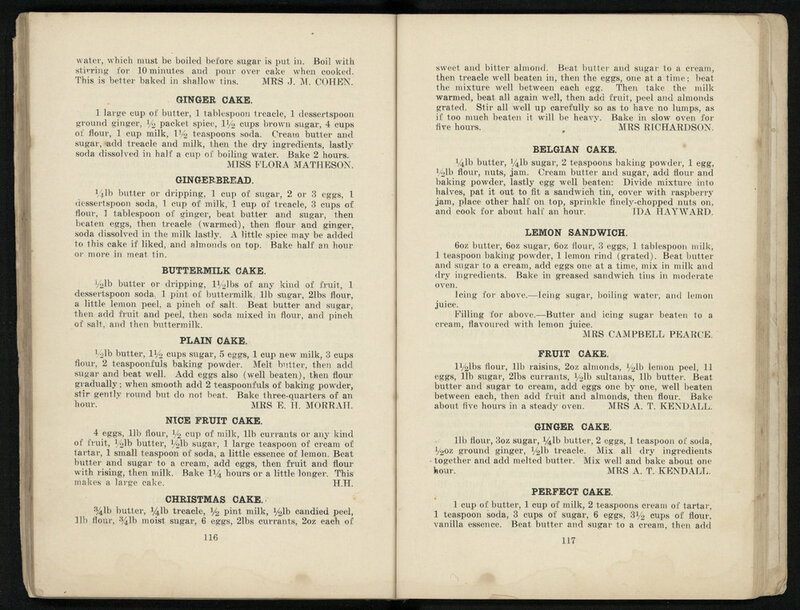 If you wish to view a searchable PDF of the recipe book, click here, to view individual pages, click the thumbnails below. 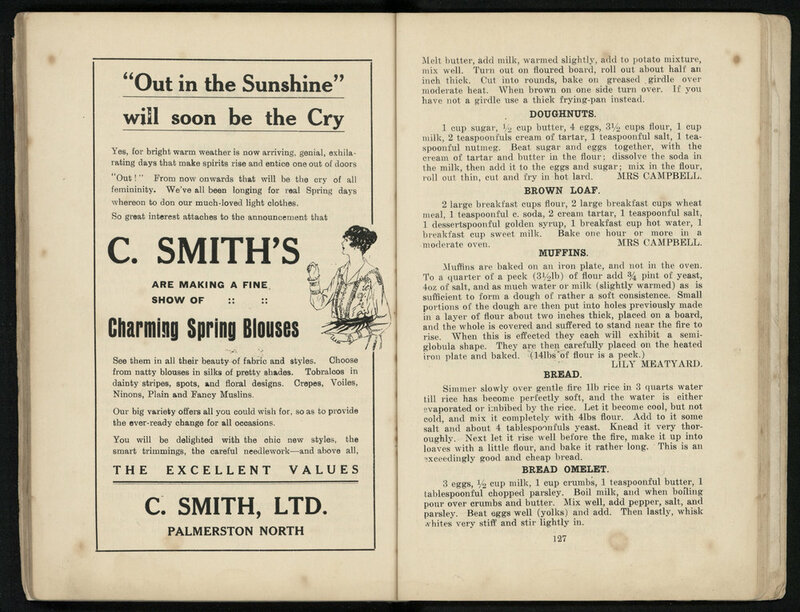 The Ian Matheson City Archives' copy of this volume is missing pages of interest and its cover, but luckily a tidier copy was found in the community. 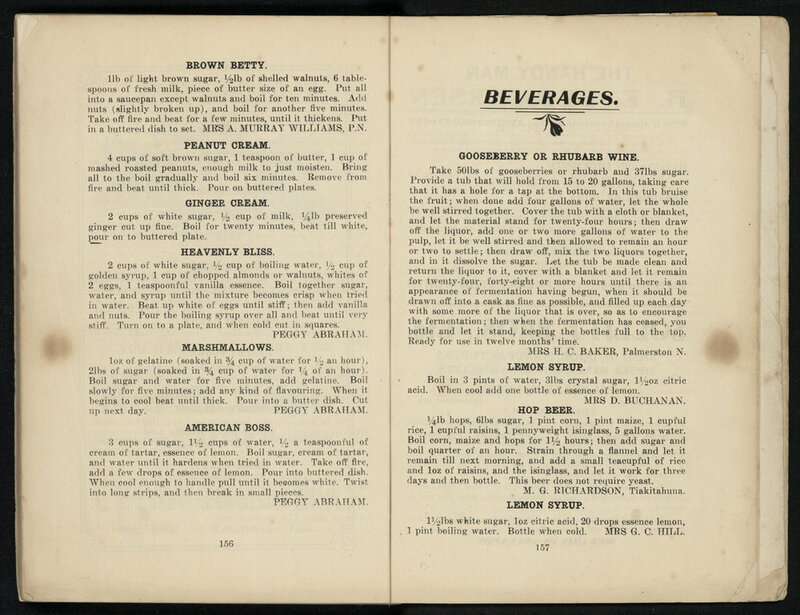 This complete volume runs to nearly 170 pages. 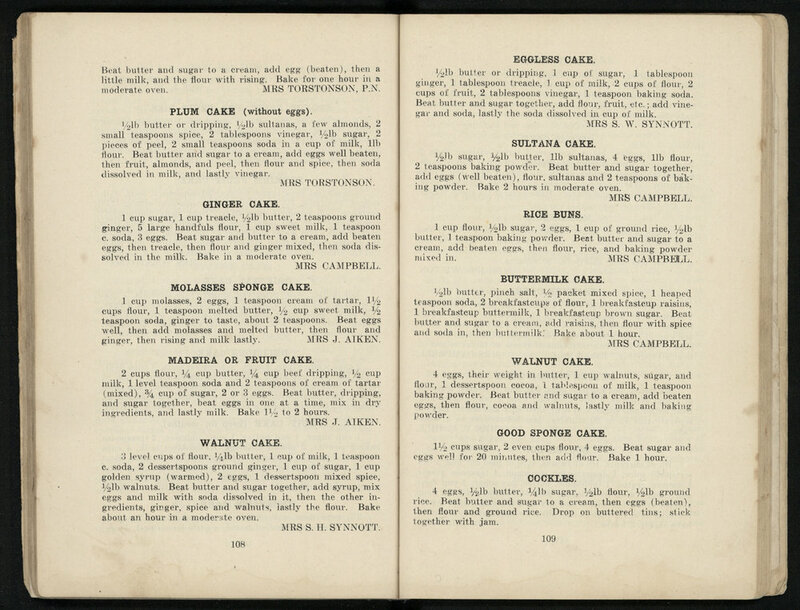 The recipes from this book were contributed to the Patriotic Society from around the region. 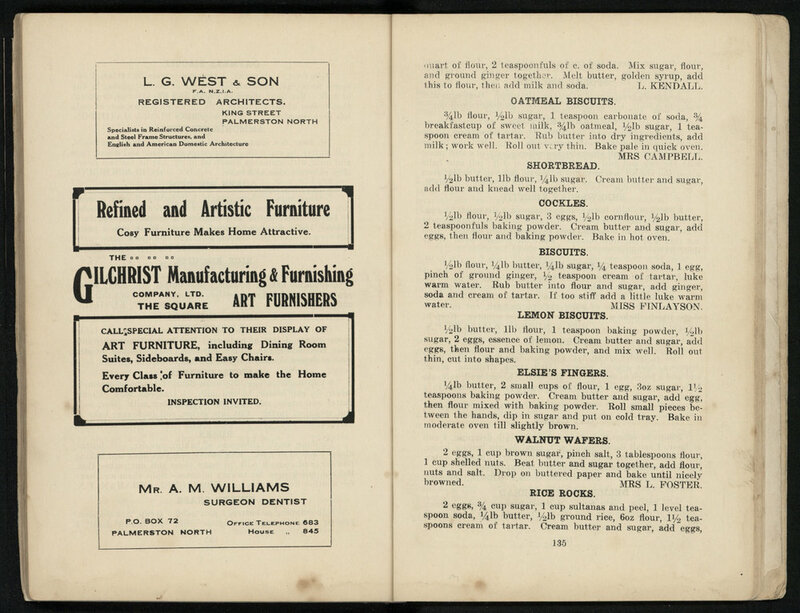 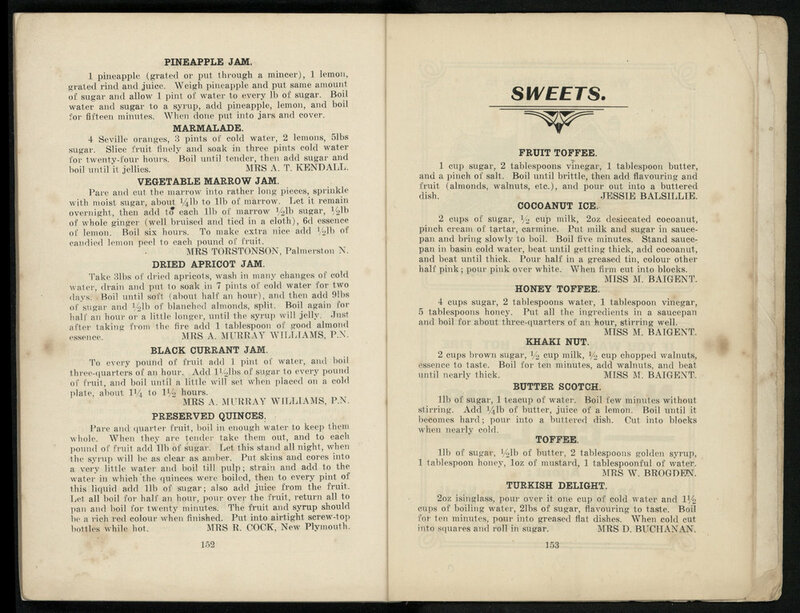 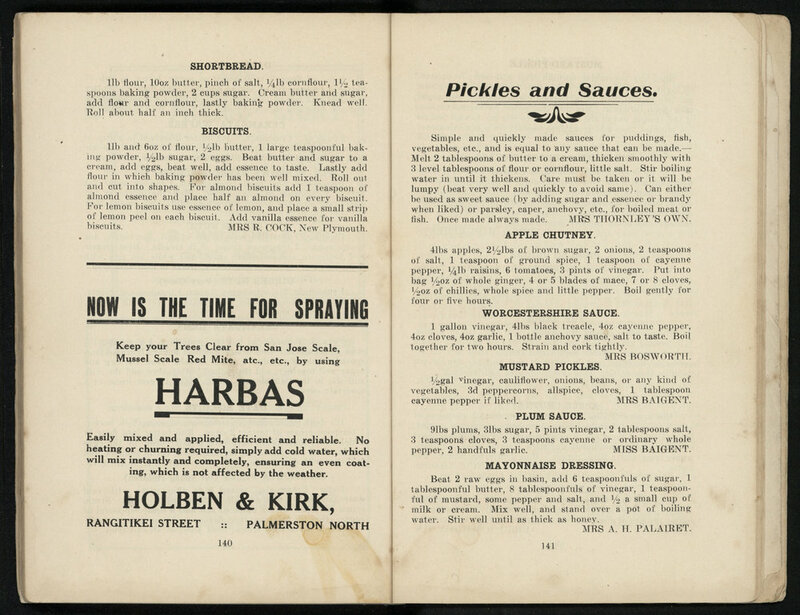 Chapters include food items like biscuits, soups, "made up dishes" and egg dishes, but there are also chapters about beverages, sauces and "miscellaneous" - with entries like homemade floor polish, soap, waterproof dressing and cough mixture. 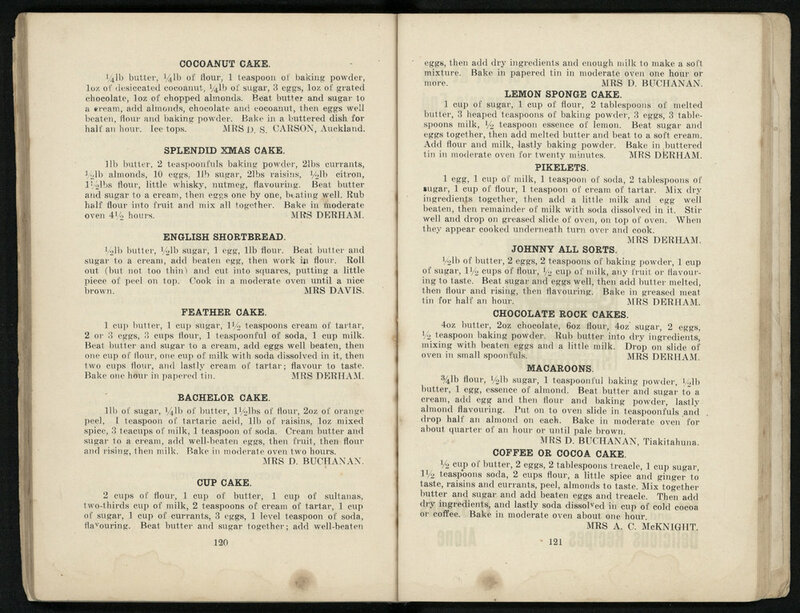 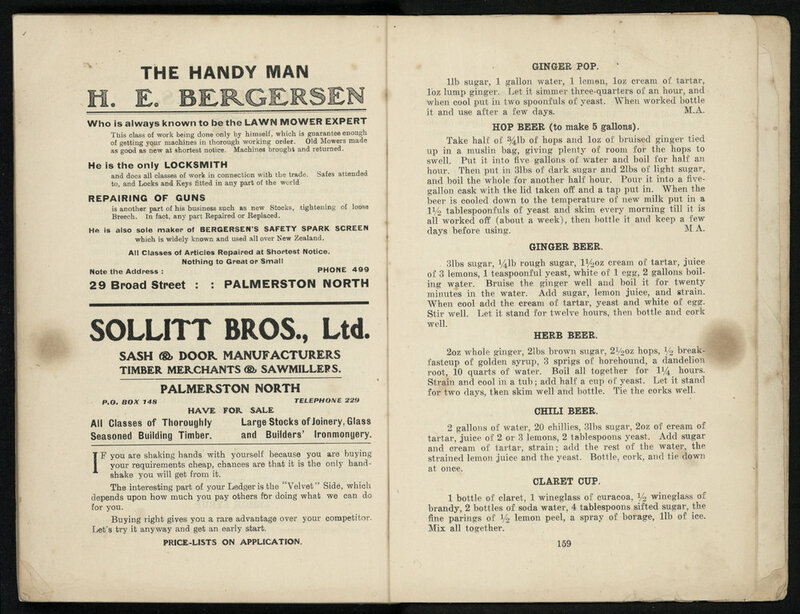 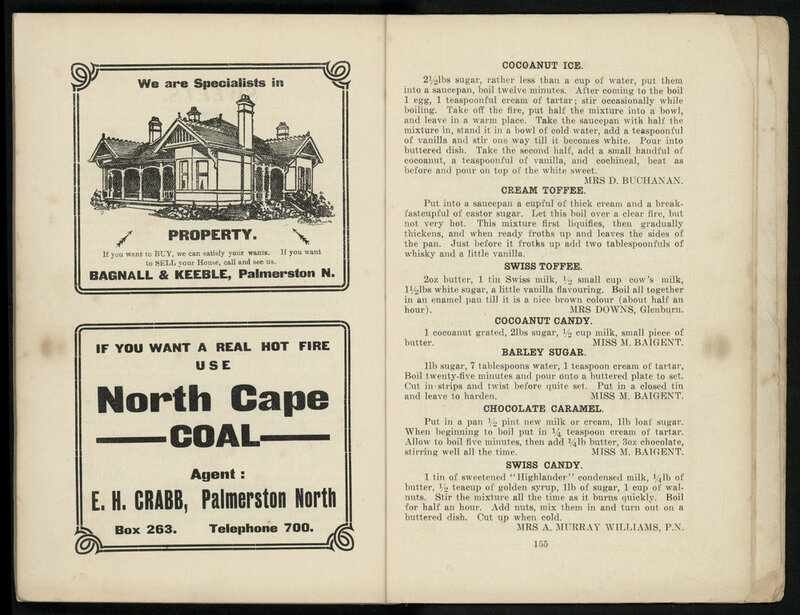 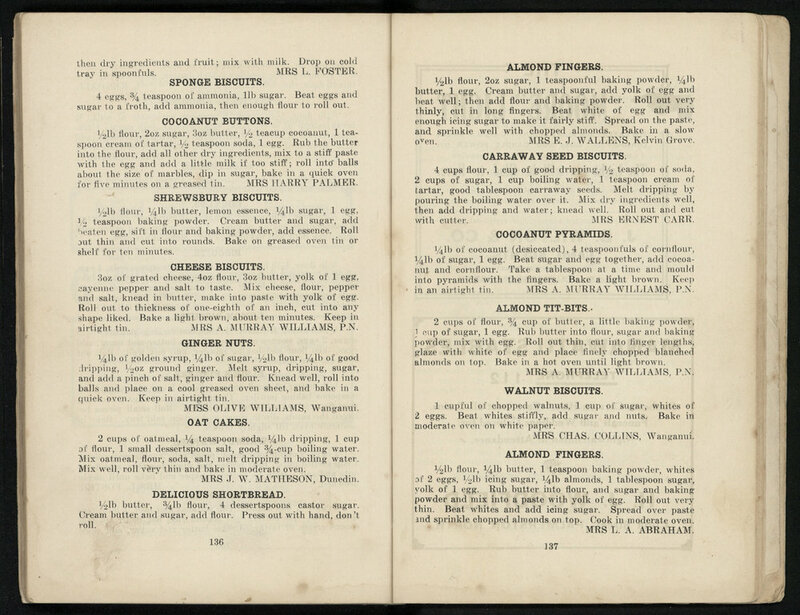 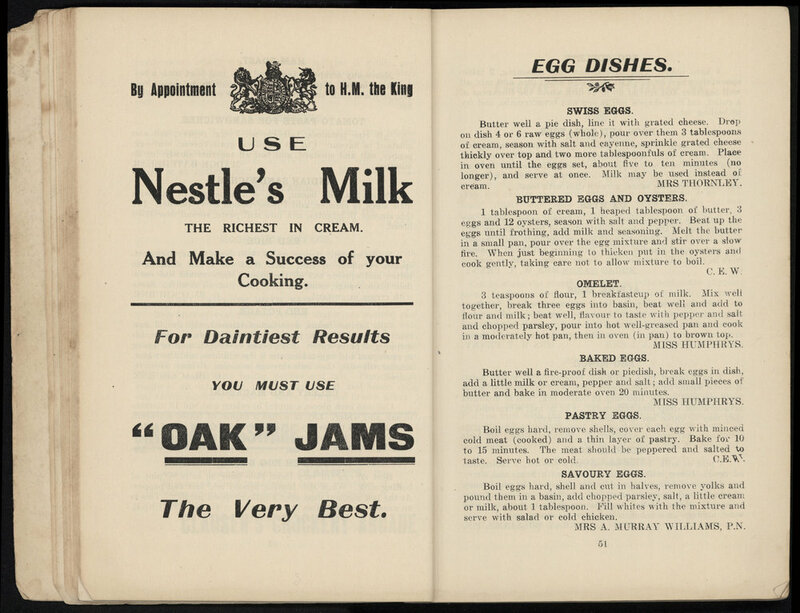 Alongside these recipes, there are many interesting advertisements from the local businesses of Palmerston North. 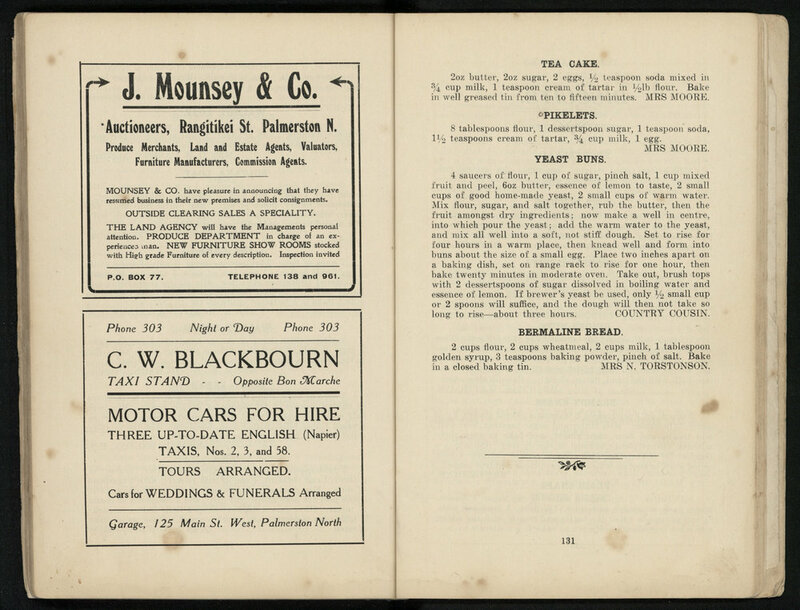 The editor's note says this about the book, "Our aim was to try and give simple, everyday dishes suitable for economical times and as the whole of the profits from the sale of this little book are for Patriotic Funds, we trust the public will be lenient and overlook all deficiencies and help to swell the funds by not only buying a copy, but recommending it to their friends."